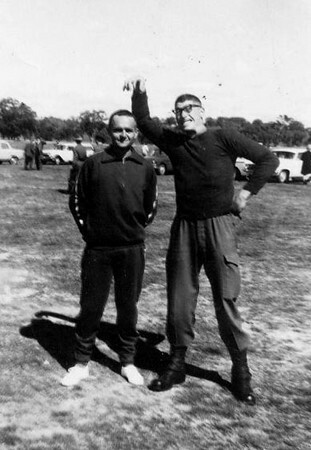 1st Recruit Training Battalion, Kapooka, 1967. Sports Day. Hamming it up with Harry Lock.